Over the past few months, I've had the pleasure of meeting (in real life) so many bloggers that I've long admired and some that were new acquaintances for me. For the most part those "oh my gosh, I'm so excited we got to meet!" moments have been fantastic and completely made my heart burst to know that someone was as excited to meet me as I was to meet them. However, everything isn't rainbows and butterflies in this great big blogging community (#shock). And there have been a few moments that I've been let down. Either let down by first impressions or fake personalities or entitlement or just downright rudeness. I'm not really sure what I wanted to express today by writing these things down other than to simply get them off my heart and hopefully ease your minds if you're having some of the same feelings I do at times. When I first started blogging about 3.5 years ago, I was wide-eyed and naive. I assumed everyone was the same in person as they were online. Why be any different? This isn't true. To those of you out there who still believe this - give it up. Most people are wonderful and make you feel like you've been friends forever - some, however, do not. Don't sacrifice your authenticity and genuine attitude just to be accepted by a certain person or group of people because you think that they're the "in" crowd of blogging. Believe me, it can get catty and it can bring you down really fast to waste energy on those moments. If someone unfollows you, let it go (I'm still working on this myself, FYI). You are who you are. When people unfollow on twitter or instagram my first thought - well, you knew what you were getting when you followed. I share girly things, I post pictures of my nails, my jewelry, my outfits, and my dog - what you see is what you get. (As told to Shelby and Katie over the weekend) Don't tailor your tweets, your photos, your posts, your voice to fit into some "blogging box" that you think will make you popular or rise to the top or capture someone's attention. It's not worth it. And in the end, it won't last. It will becoming exhausting to be someone you're not. I've often asked myself what the final goal is for those people who make choices to be catty or rude or entitled or fake. And, in all honesty, I still don't know. But it makes me sad for them. I don't write posts like this a lot, but every now and then, I have a moment that I feel inspired to really share what's on my heart about blogging. I know there are many people who don't understand it, make fun of it - I suppose it's kind of like a really big sorority (without the stereotypes). If you made it this far, thank you for reading. I never intend to make people uncomfortable or share things just for the sake of having a post for that day. What I wrote here is from my heart and I hope that it inspires you all in some way - whatever way that best helps you be a better person and blogger. I'm all about keepin' it real around here. Sending a big cyber hug your way! Ah I love that you posted about this! I think it's bizarre that people can act so differently in person than the way they portray themselves on the internet. However, I just love when a real, true person on the internet is that same genuine, sweet person in real life! And love hearing stories of the "big timers" being so sweet and real! :) I kinda love this sorority! ha! Great post, honest and it obviously came from your heart. Also, for someone like, who has just started blogging, it was a good advice. Such a genuine train of thought -- thanks for voicing it, I've definitely encountered the same ups and down in my experience with blogging, and I've only been at it for less than a year! Thanks for sharing! LOVE LOVE LOVE this post! I am so relieved to know that someone else feels like this sometimes. I am still a fairly new blogger, and I was so very excited to meet my first blogger in person! Everyone seems so supportive and loving over the internet and through email. It is not everyday you find people who have the same interests as you AND know about the blogging world. I cannot tell you how disappointed I was to meet a particular person- rude, superficial, the whole "I am better than you" attitude. It was the ultimate let down. We had a Blog Nashville event last week and I *almost* did not attend due to my fear that it would be the same sort of situation. Thankfully, it was completely opposite! I met the sweetest girls with the most welcoming personalities. I am glad you found some good girls to invest your friendships in. For everyone else- do not get discouraged! The blogging world is really no different than the real world- some people are nice, some are not so nice. Just stay true to you! I think this applies to other forms of communication as well. It is amazing how people can be catty or downright rude to followers/fellow bloggers on Instagram or twitter, but act like everything is sunshine and roses on their blog. Or post really rude comment replies to people that don't deserve it. I don't get it! Personally, I think if you can't be yourself on your blog/social media then there is no point to any of it. Love this. I've definitely been let down by a few of my first blogging "friends" and have been hesitant to meet the girls behind the blogs since. I don't understand why people cant just be authentic? Hi there! I am new to blogging (and your blog) but this was one of my fears going in. But I have realized what amazing connections you can make with people all around the globe! But this is a pearl of wisdom to keep in mind! Thanks for sharing!! I really love that you wrote this, Julie! It's something I definitely think about a lot, especially when I toy with the idea of going to blogging conferences, etc. Lucky for me, every blogger that I've met in real life has been incredible–so sweet, and exactly what you read of them on their blog. I'd like to think that someone would (hopefully) say the same thing about me. However, I totally get what you're saying about people "faking it" essentially. I can think of instances where I know the person isn't really like how they portray themselves on their blog, or where it's obvious that someone is just writing what they think people want to hear. It makes me sad, because blogging is the perfect venue to be 100% yourself. such a great reminder that we need to remain true to our selves NO MATTER WHAT!! i think a lot of us will learn a valuable lesson from this post and i am so glad you felt the urge to share...props to you sweetie! I'm over here reading this post and these comments shaking my head yes. It is really disappointing and has made me want to abandon the whole thing from time to time. Mostly because it makes my fun little outlet of blogging more like a daunting land mine of tip toeing around the Mean Girls. Lol. #dramatic (Although I've only encountered a couple of MeanGirls here and there, but it only took a couple to make me be a little more cautious!) Big hug! Unfortunately this is SO SO true and I think we have all experienced it before when meeting other bloggers in "real" life! It's sad that some people feel so entitled or better than other bloggers just because they have more followers, etc! At the end of the day if you stay true to who you are your authentic self/voice will make people love you even more! Ok....this might be long.. ha..but here it goes. I wrote about this a few times throughout the years and I whole-heartedly 100% agree with you. It is actually why I quit blogging a few years ago (I used to have a blog called, From Skirts to Skillets). I went to a few Fashion Weeks and attended some events and definitely met some amazing people but was really disappointed that many people acted as if they were still in high school. Its unfortunate that some bloggers still believe that this is a popularity contest. However, the good always outweighs the bad and I missed blogging so much that I started it back up again and I am SO happy for that because I have met some really amazing people through blogging and I hope to meet even more wonderful ladies that have such incredible ambition. All you can do is be yourself at all times and F the rest. Who cares who doesn't like you or your blog or whatever. Over it. Was someone mean to you!? Want me to beat them up!? You're the best! Sending you big hugs and loves your way...can't wait for our VA/DC event next month! It's funny you wrote this post today because I just had my first disillusioned blogging moment today. I am a very new blogger and am genuine in what I post on my blog and what I post as comments on other blogs. There is one blog I have been following for several weeks now and the blog author has never posted any of the comments I have left her...and they were nice and sincere complements. My gut told me that I don't have a "popular" enough blog for her to bother with me, and I only have a few followers compared to her 1200. Thank you for your post! It is clear from reading your blog that you are as sweet and vivacious in "real life" as you are on your blog! amen. the entitlement is McCray. A lot of non bloggers who are influenced by the "fan favorites" would be super disappointed to meet and realize that those girls want nothing to do with them. And 100% agree with online/face-to-face personalities not matching up. Very bizarre and awkward to finally meet someone who tweets you with "xoxo !! :)" and then is just like "hi..." in person. AWKWARD CITY. AGAIN thank you for the honesty! Interesting read, thank you for sharing. I actually don't meet that many bloggers as I don't go to too many events and the like, but when I do they have been very sweet for the most part, but definitely some have a bit of a sense of...something. Entitlement I guess, or like they're looking over your shoulder for someone more popular to talk to. Hopefully most of your experiences have been and will continue to be good! Amen, Julie! And, while I must say that all of the bloggers I've met in person have been truly good people, it amazes me how comfortable other bloggers feel behind a computer screen to say whatever they'd like about others. I had a situation about six months ago in which I was put-down on Twitter - in fact, two bloggers had an entire conversation about me! It really hurt because up until this point, I was looking towards those girls as inspirations - they were working with brands; they were making friends; they were successful; these were people I admired. And with that incident, it completely deflated my confidence in myself and my blog. As I watch them become more successful, I struggle with shouting from the rooftops for others to watch out for their sneaky behavior, or to stand by and hold my tongue. I hope that they've learned to be more careful with their words since then. Thank you SO MUCH for writing this. It seems ridiculous to be talking about "mean girls" way into my 20s, but I am glad that most bloggers are genuine, good people. Let's all support each other and enjoy this awesome community. I've finally gotten the courage to go public with my blog and I am inspired by your post!! Great motivation, inspiration, and genuine thinking! Thank you SO much for writing this, Julie! 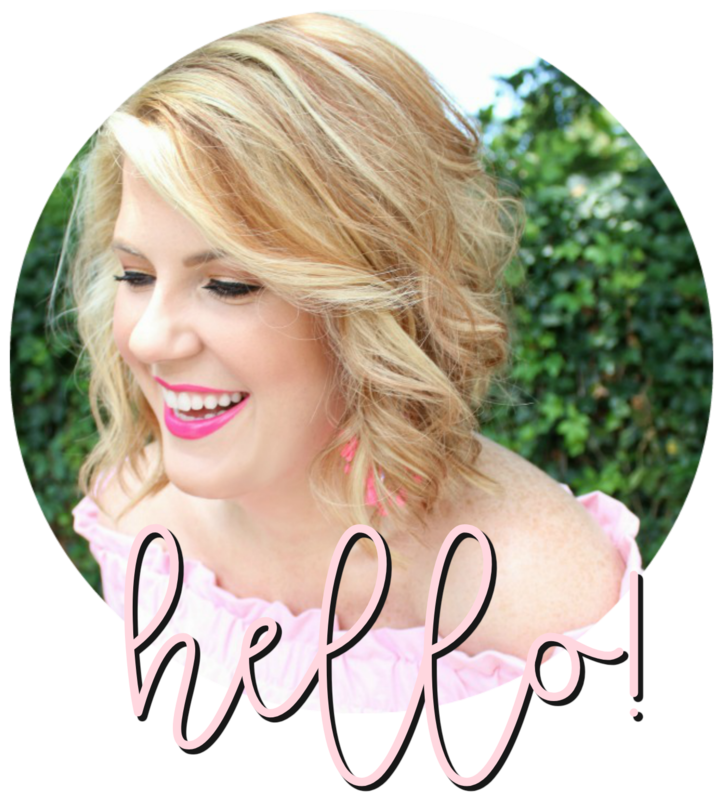 I have noticed that more and more bloggers decide to talk "real life" on their blogs, and I love it! Life's not always butterflies and balloons, and there are also bad things that happen and that affect our lives. Choosing to gloss over these experiences seem very dishonest to me. So many bloggers give out the impression of living the "perfect" life: perfect style, perfect home, perfect husband, perfect everything, that sometimes it's just too much. I mean, yes, I read blogs for inspiration and entertainment, and it's kind of escapism, but if I want all glossy and perfect, I may as well just buy Vogue, and get it over with. When I read a blog, I want to see the personality behind it, flaws and all, not just the pretty shiny things. Last year I went through some pretty bad stuff (I broke off my engagement, moved to a different country and started a new career), and I was hesitant at first to share these things on my blog. But in the end, all I wanted was to keep things real and not play any role I could think was "appropriate" for my blog persona. I really hope my blog and real personalities match :) What I'm trying to say is, thank you for your honesty. I'm pretty sure so many people would agree with you! Those catty, mean bloggers should realize that they were "made" by their readers, and they should appreciate every single one of them who show up every day to read and comment. I love that you always respond to comments, it makes me love you and your blog even more, and it shows that you truly care. And that feels wonderful! I meet a lot of bloggers at blog events and am often amazed at their sense of entitlement....I find it so rude. It happens all the time. With regard to bloggers that I have met one to one on a social basis, I have only met up with people who I have been pretty sure I would get along with, those who I had been following & reading for ages....and in all the meetings, except one, it went really well!! Blogging is a funny world - it's easy to build up an image of someone....I also think it's important to remember that we all present a certain side of ourselves on our blogs. As someone new to the blogging community, I think I fall in the naive camp, but I know that all the rainbows and butterflies can't be how it really is. Thank you for shooting straight and airing your feelings - your honesty is a breath of fresh air. I definitely think that staying true to your personality and being authentic is so important. I hope that I'm able to do that as my blog grows and evolves. Sending virtual love your way! Being (somewhat) new to the blogging world, just wanted to say a heartfelt "thank you" for your openness and willingness to put your heart out there and for the very straightforward advice. One thing to discover quickly - being true to yourself. Preach! This post is so real! I am out an about at events all the time and it's crazy what you learn about people. In the beginning I assumed ppl were the same in real life...sike! At the end of the day we are all human and it's just a blog! I have met very few bloggers in real life, but this is one of my biggest fears! Thank you for your honesty and good pieces of advice. I really valued this honest post because I see a lot of girls being mean and catty in the blogging world. In all honesty each blogger has their own style and opinion so nobody is right or wrong about their views. I think my other issue is how some bloggers only reach to companies for free products to write reviews and give the company a good review based on them getting the product for free. As a customer, that doesn't help much.